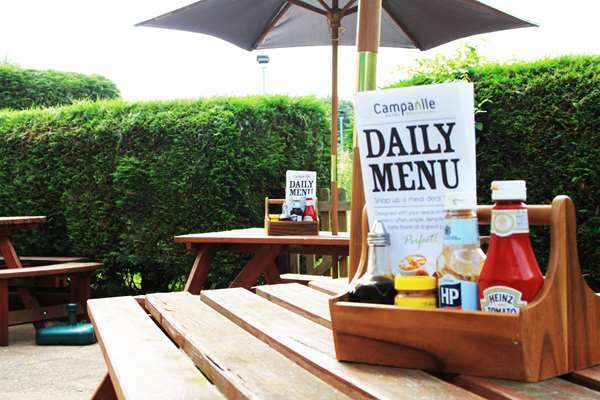 Campanile Doncaster Bed and Breakfast hotel is situated close to the Doncaster Dome. 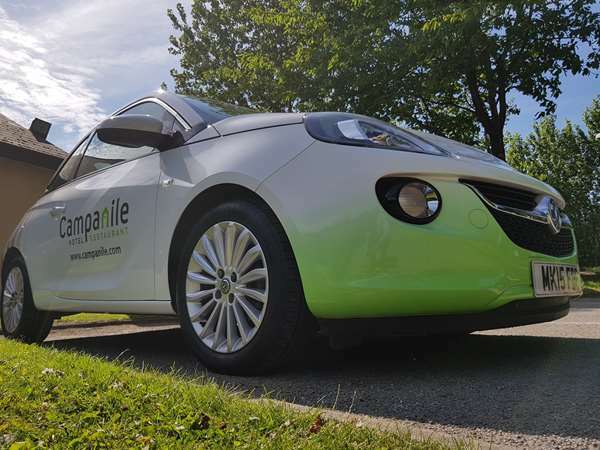 Located just 4km from Doncaster Train Station, 4km from the M18 and 9km from Robin Hood Airport, Campanile Doncaster B&B hotel is a perfect central hub to so many destinations. 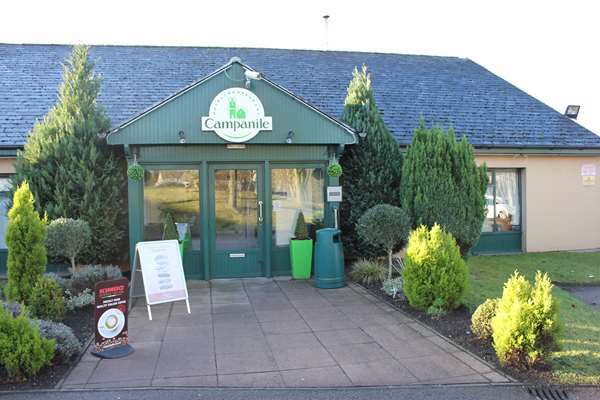 With 49 en-suite and comfortably appointed rooms our hotel accomodation offers a stay to suit leaisure and business clients. Each room has superbly soft micro fibre pillows and hand crafted Hypnos mattresses to give you the best nights sleep possible. 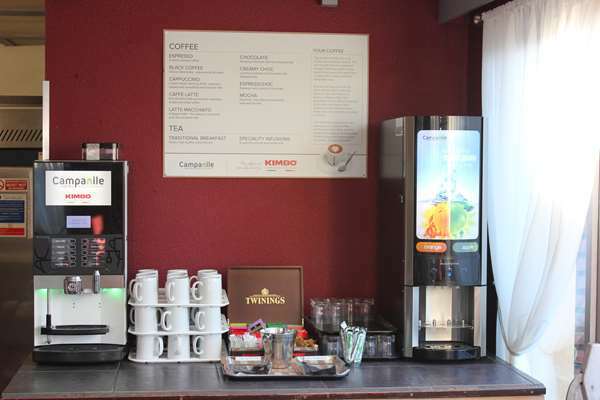 You can take advantage of our complimentary drinks tray laden with tea, coffee. 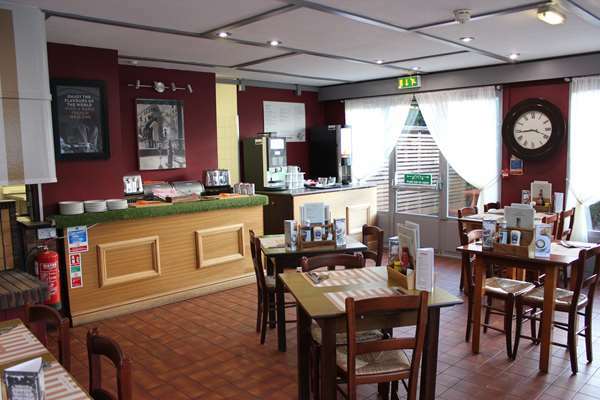 Every room has been upgraded to offer WiFi with supplement, flat screen televisions with full Freeview channels available, and even the necessary ports for portable DVD players or consoles if you’re here for a long stay! If you have forgotten your toiletry bag we provide soap and shower gel/shampoo in every bathroom as standard, and with recently replaced boilers and powerful shower heads there is lashings of hot water for an invigorating shower! 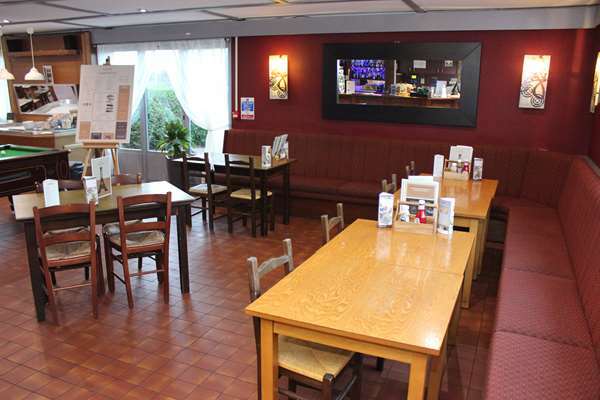 We also provide an on site restaurant offering breakfast, lunch and dinner. 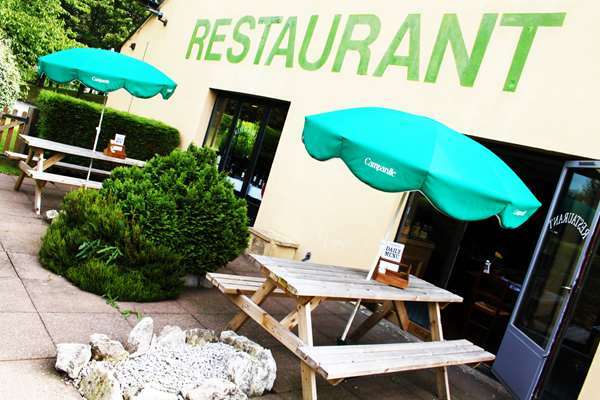 Each meal is prepared and served by a dedicated and friendly team from a seasonal menu. Look out for tantalising dishes such as Haggis-stuffed chicken, spicy Welsh rarebit and a twist on the classic Eton Mess! 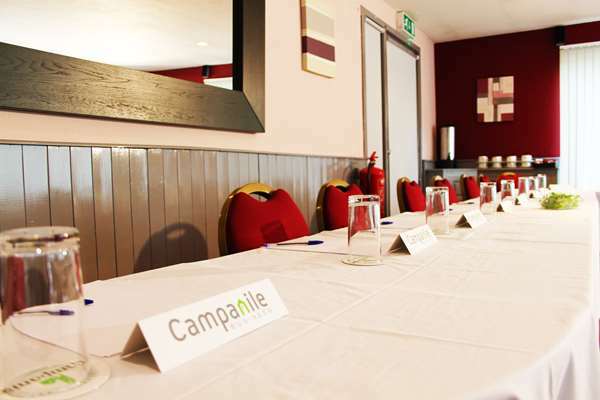 For the Business guest the WiFi with supplement throughout is very convenient, as is the Meeting Room which is able to comfortably accommodate up to 30 delegates and offers packages for food and drinks. Doncaster’s road and rail network make it an easy place to get to and a convenient stop over for those just passing through. 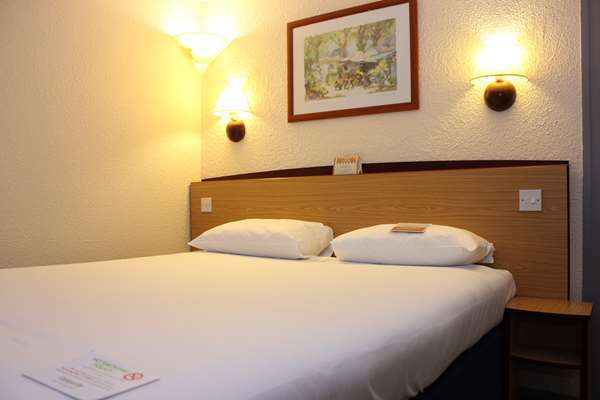 We offer 49 fully en-suite rooms divided into 24 double bedded rooms and 25 twin bedded rooms. 2 of the rooms are fitted for easy access use and 4 of the rooms are able to be adjoining for families. All rooms come equipped as standard with micro fibre pillows, Hypnos mattresses, flat screen televisions with full Freeview coverage, complimentary drinks tray with tea, coffee complimentary soap and shower gel/shampoo, towels, open wardrobe with hangers and a wall mounted hairdryer. 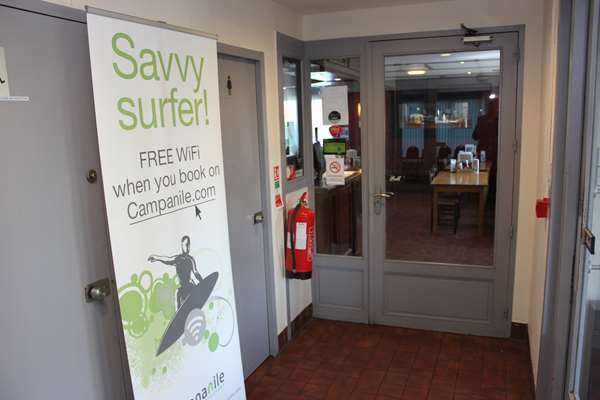 Available on request the hotel is able to offer Irons and Ironing Boards, Non-Slip bath mats, extra towels, pillows and blankets and refills for the complimentary drinks tray. 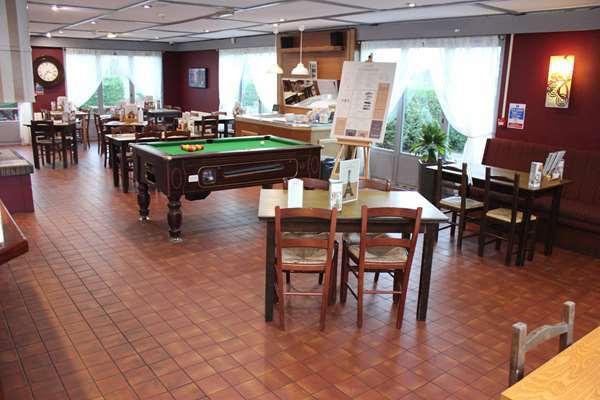 The B&B hotel provides 2 rooms for easy access with disabled parking spaces outside. An American motel style with comfortable,clean rooms, The staff went out of thier way to be helpfull, a large bar with reasonable priced drinks and a large flat sceen tv, daily papers are available, we stayed for two nights and rely enjoyed our stay. Would gladly reccomend this hotel. Thank you for taking the time to leave us a review. I am delighted you enjoyed your stay and will be passing your comments on to our team. We hope you would choose to stay with us again in the future. We had a lovely time at this hotel, although the weather was not the greatest as we experienced strong gale winds over the night we stayed here. After a long day at the dome for the gaming market nearby. We checked into our room to the hotel campanile, We found our room for the night after detouring around to find it. Separate from the reception/restaurant building. Not bad for the price and we only stayed for one night which was what we needed for the long journey back home. Bed was very comfy and clean. The only down side was the amount of towels supplied in the bathroom was one small towel so we had to ask for some more than what appeared to be provided. Our room had a good size tv, hairdryer and a kettle for making a nice cup of coffee. Small area to walk around the room but it was adequate for our stay. Dinner was ok in the restaurant I felt there should of been more classic range of foods to pick like standard adult portion of sausage and chips/mash, roast dinner for example on the menu. Tea could of been hotter to drink. Heating in the guest room could have been improved especially the bathroom as it was not working for mornings shower. Shower was good nice hot water. We got dressed and then went to the restaurant to have a lovely cooked breakfast. 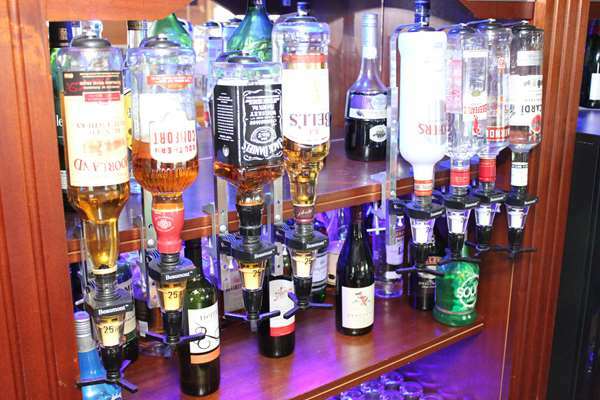 Good selection of continental food and drinks buffet to help yourself. Points scoring for supplying soya milk. Well done! Cooked breakfast was good, made to order. However they also ran out of orange juice but it was quickly replaced as soon as I asked, very good. Very quiet as most of the people staying had their breakfast earlier and probably check out. After breakfast we also checked out too. Good customer service, the staff listens to any concerns you have with your stay and they try to make your stay a good experience. I do feel they should be need more staff on hand as one of the workers was multi tasking which was impressive to say the least. Overall a good stay, great for the price and great location near the dome. We would stay again if the price was the same value and to anyone who wants a good night value stay. Thank you. Thank you for choosing to stay with us and for taking the time to leave us a review. We truly value all the feedback we receive and always share it with our teams. I am delighted you enjoyed your stay with us. We are often described as a Motel Style Hotel with our bedrooms separate to our Reception, which is something a lot of our guests appreciate. 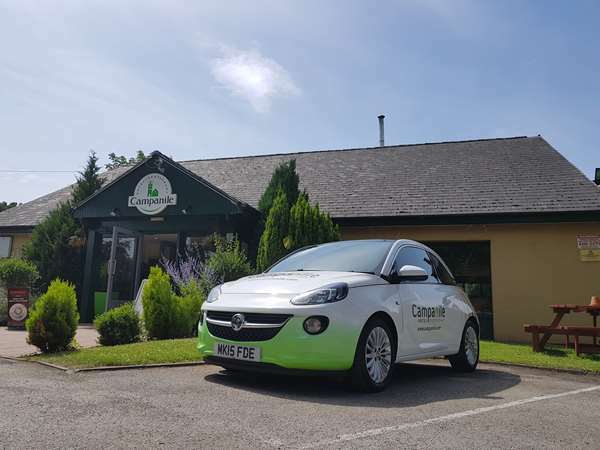 It is private with guests not having to pass through Reception on their way to and from the hotel, it is convenient with smokers and with our rather green surroundings of grass and trees it’s nice on Summer days to have the door open directly onto the grounds. 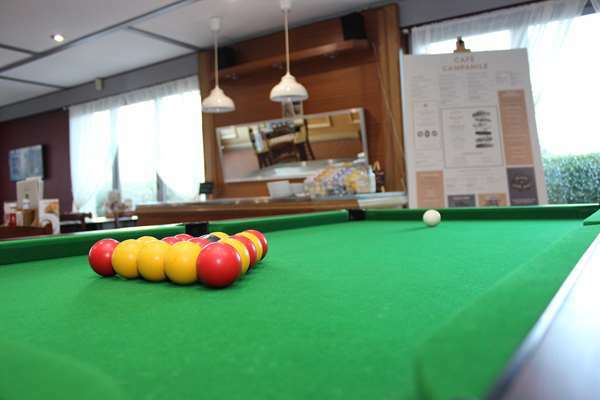 Whilst we may be described as a Motel Style, we are most definitely budget and what we try to offer are tidy and comfortable rooms at an affordable price. 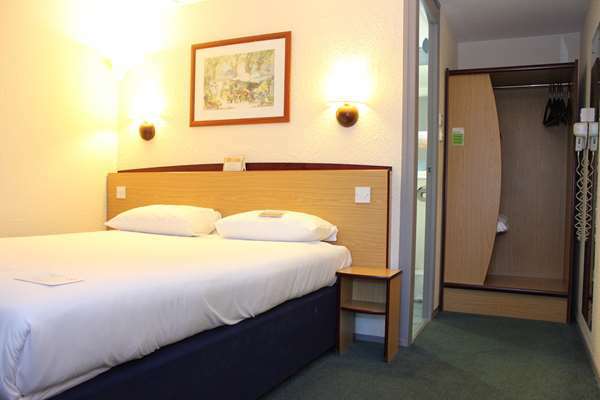 Our rooms are small but adequately appointed with each and every room being en-suite. 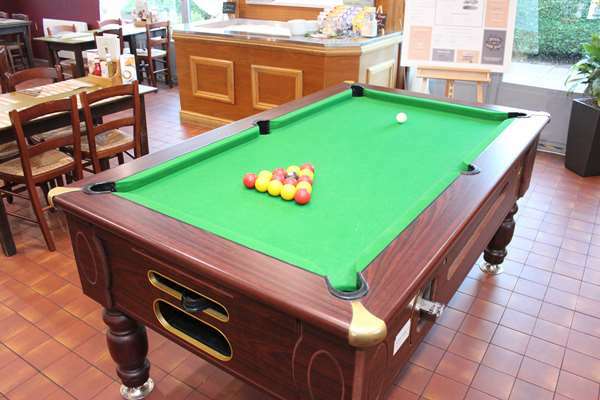 We aim on event days like the Races and the gaming market to be the cheapest hotel in the area – so you can always be assured of a great value stay when you stay with us! We take on board your comments regarding our evening meals. We have worked hard to offer a menu that caters to all tastes but that also allows guests to sample flavours from across the globe. 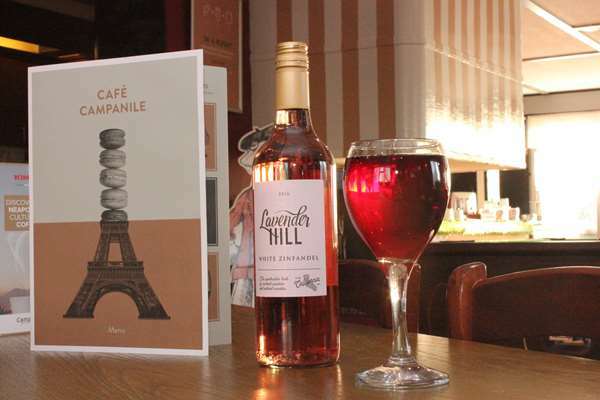 There are still classic English pub dishes such as Fish & Chips, Steak Pie, Gammon and Steak alongside Italian dishes like our Penne Arrabiata and French Dishes such as Croque Monsieur. 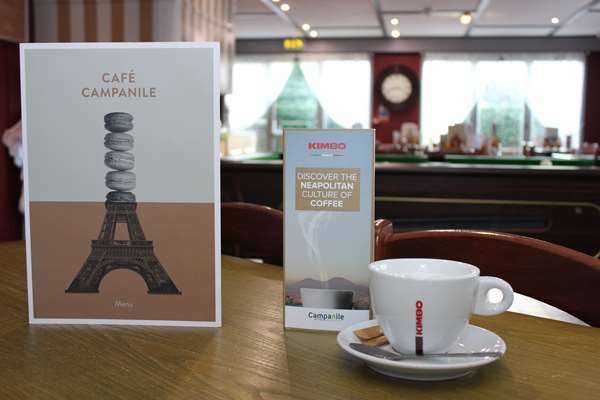 Thank you for your comments regarding our Breakfast – it is something we are very proud of. 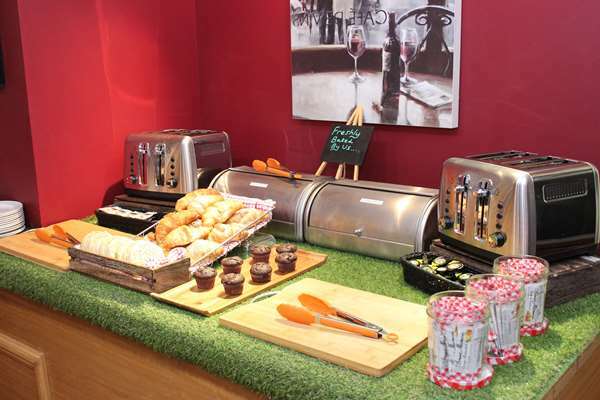 For the price paid you get access to our all-you-can-eat Continental Buffet as well as a plated Full English which is cooked fresh to your liking, all washed down with unlimited drinks from our juice and bean to cup coffee machines. We also don’t believe in any hot holding or precooking of our Breakfasts, so you can always be ensured your Breakfast is fresh and made just for you! 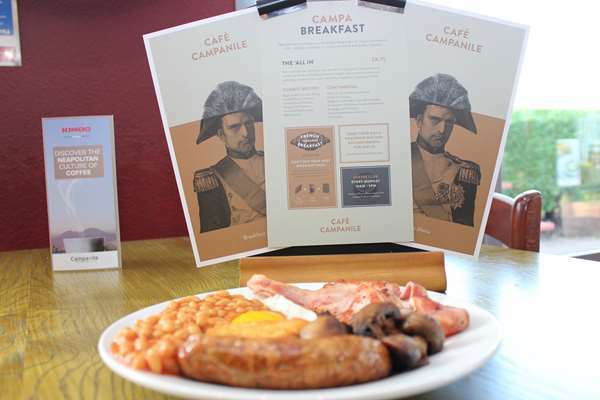 If you pre-book your Breakfast at the time of reserving it is only £5 per person. I think I paid £48.25 for two, including breakfast. The rooms are small, dated, but do the job and, let’s face it, they are unquestionably cheap! Also, our room was clean. We were heading for a “3” rating here until.......breakfast! Amazing, considering what I paid; good fry-up, lovely fruit bowls & yoghurts; home made bread (I kid you not)- I do believe there are places out there would charge £48.25 for the breakfast alone! Obviously very expensive places, that I probably wouldn’t go to. Anyway, I digress, you can’t really complain if you come here- it’s budget with a mega-breakfast! Thank you for choosing to stay and for leaving us a review. 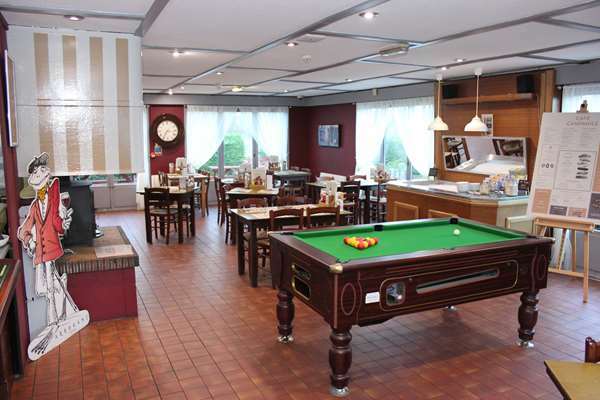 We are often described as a Motel Style Hotel which is something a lot of our guests appreciate. 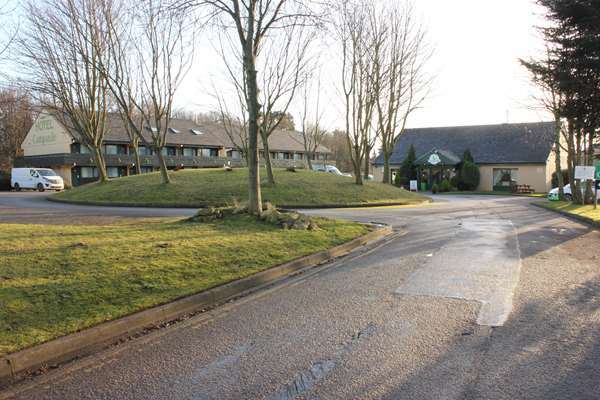 It is private with guests not having to pass through Reception on their way to and from the hotel, it is convenient with smokers and with our rather green surroundings of grass and trees it’s nice on Summer days to have the door open directly onto the grounds. 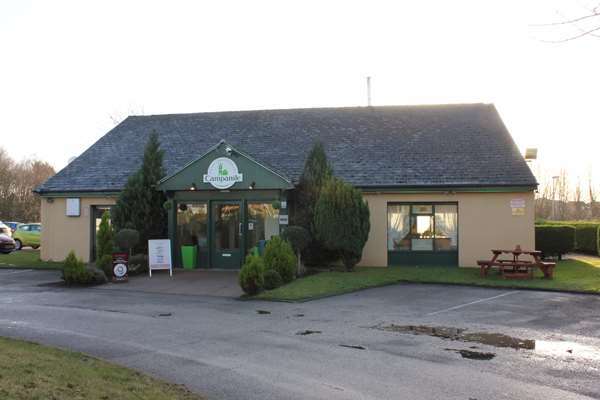 Whilst we may be described as a Motel Style, we are most definitely budget and what we tidy and comfortable room at an affordable price. 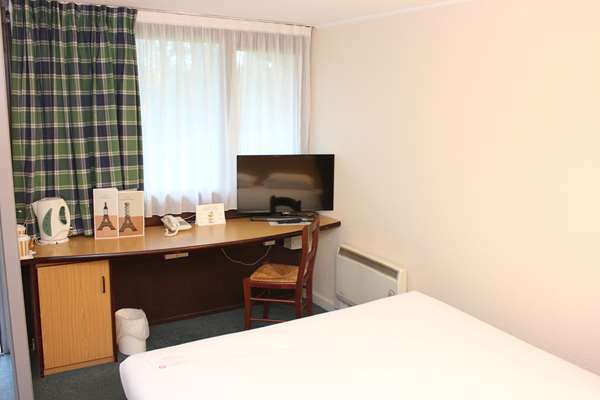 Our rooms are small but adequately appointed with each and every room being en-suite. 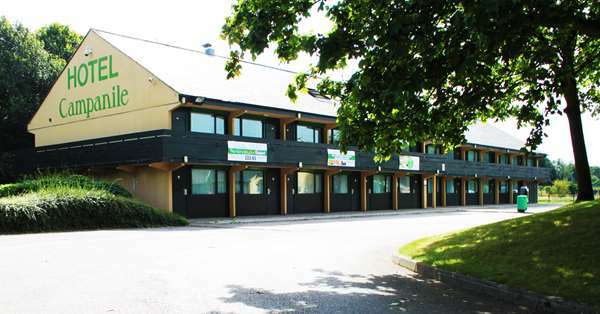 We aim on event days like the Races to be the cheapest hotel in the area – so you can always be assured of a great value stay when you stay with us! 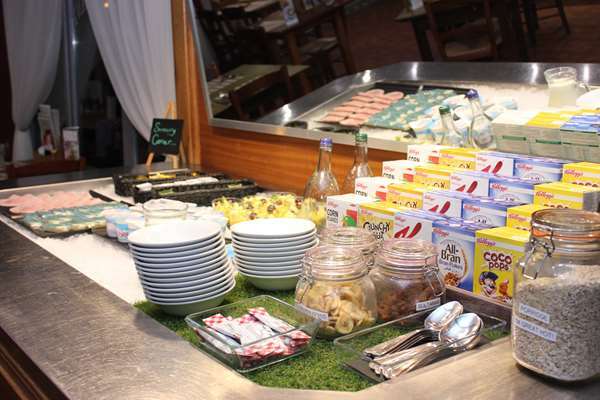 Thank you for your comments regarding our Breakfast, it is something we are very proud of. 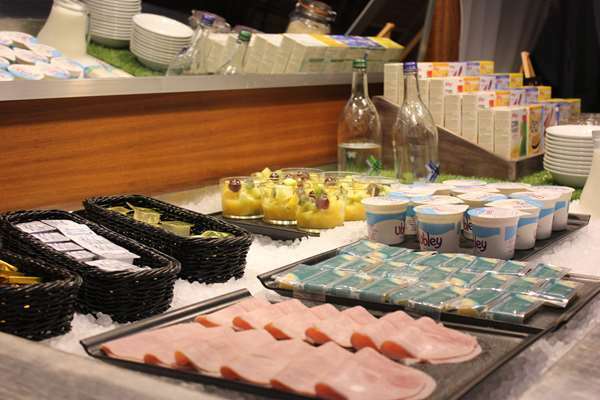 For the price paid you get access to our all-you-can-eat Continental Buffet as well as a plated Full English which is cooked fresh to your liking, all washed down with unlimited drinks from our juice and bean to cup coffee machines. We also don’t believe in any hot holding or precooking of our Breakfasts, so you can always be ensured your Breakfast is fresh and made just for you! 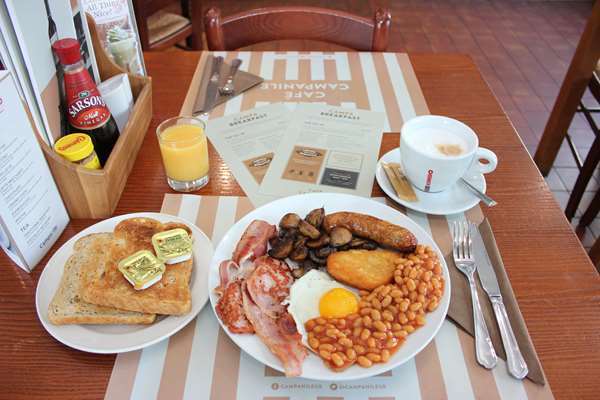 If you pre-book your Breakfast at the time of reserving it is only £5 per person. Enjoyed two stays here this month. A quiet and cosy clean room, I like how the rooms are all situated outside meaning you don’t have to go through corridors after corridors to get to it, you can park your car up and go straight in. Only issue is the heater in the bathroom wouldn’t turn off which scares me a little as it just feels like a fire hazard! Plus we requested late checkout at 2pm and was disturbed by an angry cleaner who was rude, didn’t knock and told us we were “supposed to check out at 12”. After explanation there was no apology, just a sigh and a grunt and then a slam of the door. Will probably stay again due to location & practicality. It’s a good place for the price. Thank you for choosing to stay with us and for taking the time to leave us a review. We truly value all the feedback we receive, sharing it with our teams and using it to better improve our services. I’m pleased you enjoyed your stay with us and appreciated our design. 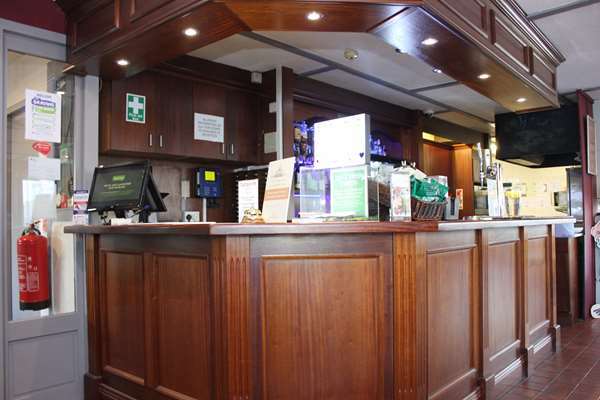 We are often described as a Motel Style Hotel which is something a lot of our guests appreciate. 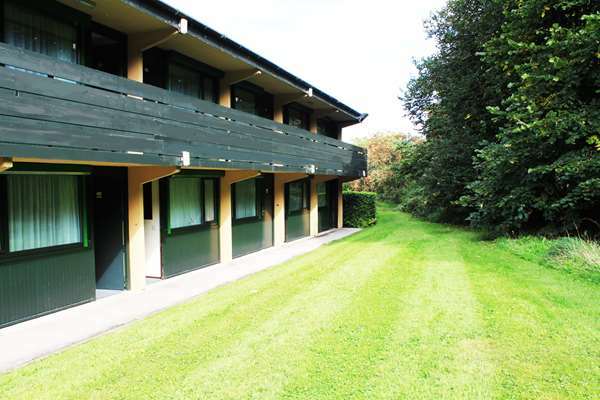 It is private with guests not having to pass through Reception on their way to and from the hotel, it is convenient with smokers and with our rather green surroundings of grass and trees it’s nice on Summer days to have the door open directly onto the grounds. 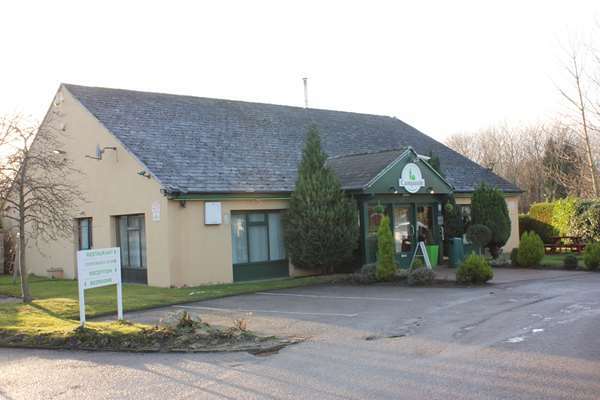 Whilst we may be described as a Motel Style, we are most definitely budget and what we try to offer is a clean, tidy and comfortable room at an affordable price. 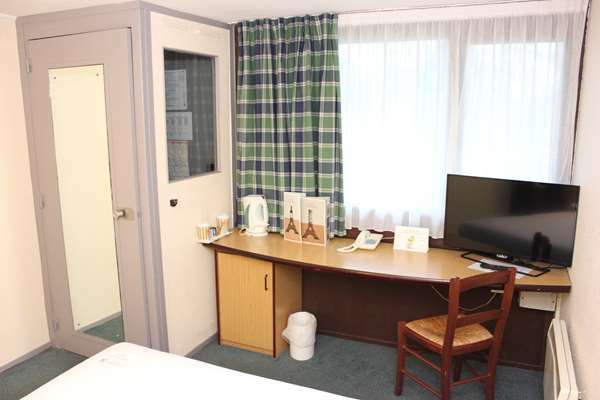 Our rooms are small but adequately appointed with each and every room being en-suite. We aim on event days like the Races to be the cheapest hotel in the area – so you can always be assured of a great value stay when you stay with us! The heater in the bathroom is actually on a timer. It does switch itself off, though every press of the button keeps it on for 5 minutes. I can assure you it is not a fire hazard – they are designed this way so as to not be, and to prevent them being kept switched on. I sincerely apologise for the intrusion form our Housekeeping team. I have spoken with them directly to prevent this from recurring. We look forward to welcoming you back to our hotel in the future. We stayed here for the third time for a family visit. We find rooms to be basic but very clean and they have pretty much all you need. Good TV, kettle, hair dryer etc. The heating is always on when you arrive so the room is nice and cosy. Take an adapter for the socket though because there is only one in the room. The hotel dates from the 1990's and it shows it's age but it's still perfectly adequate for a couple of nights. 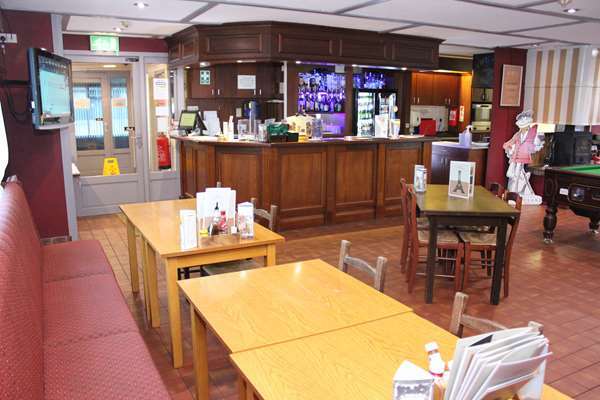 The staff are fantastic, chatty friendly and really helpful. 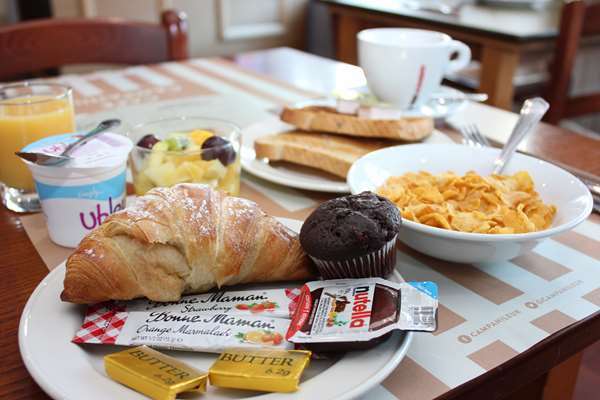 The breakfast is exceptional! The bread is home made and really tasty. 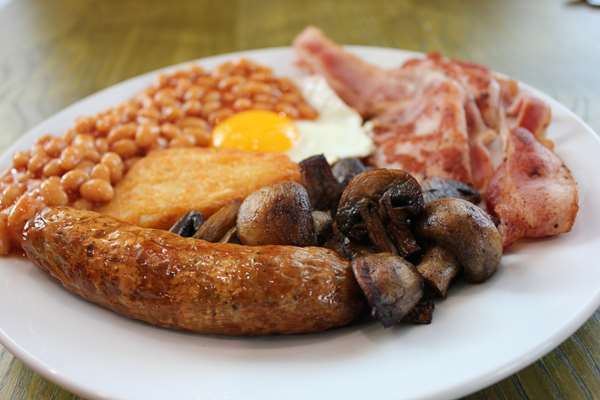 You can help yourself to coussaints and fresh fruit, meats, jams, cereal while they cook your full English freshly for you. It's excellent value for money. Thank you for choosing our hotel and for your balanced review. I am pleased you enjoyed your stay and found our rooms to be clean. You are correct that we are from the 1990’s. Whilst we may not be modern, what we try to offer here is a clean, tidy and comfortable room at an affordable price. Our rooms are small but adequately appointed with each and every room being en-suite. 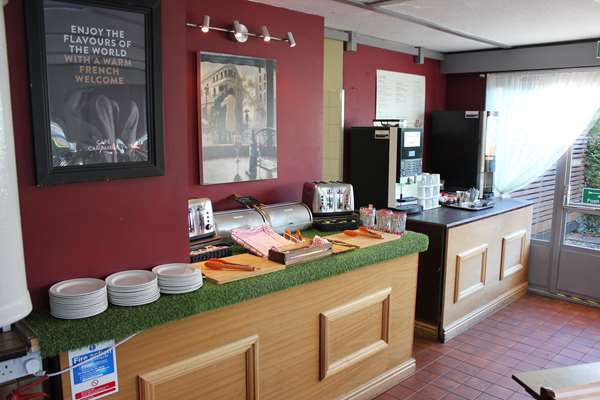 We aim on event days like the Races to be the cheapest hotel in the area – so you can always be assured of a great value stay when you stay with us! 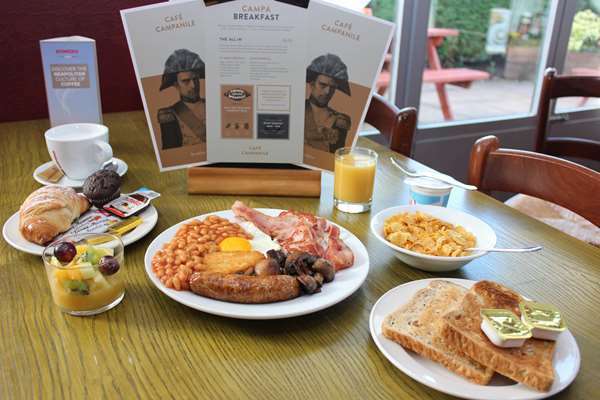 Thank you for your comments regarding our Breakfast, it is something we are very proud of. 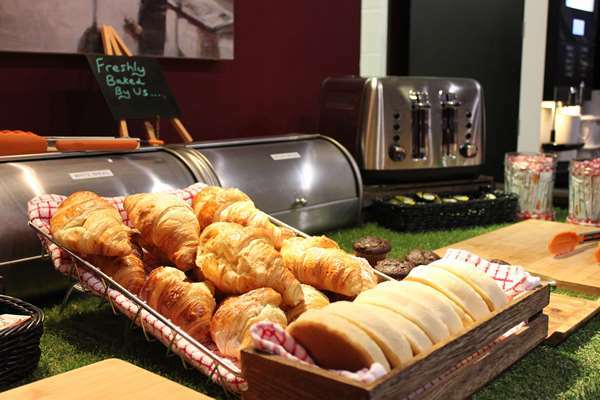 For the price paid you get access to our all-you-can-eat Continental Buffet as well as a plated Full English which is cooked fresh to your liking, all washed down with unlimited drinks from our juice and bean to cup coffee machines. We also don’t believe in any hot holding or precooking of our Breakfasts, so you can always be ensured your Breakfast is fresh and made just for you!